Canned on January 3rd, that is today! Peabody Heights Brewery collaboration with Woodberry Kitchen is out and on the shelf. This is as fresh as you can get! 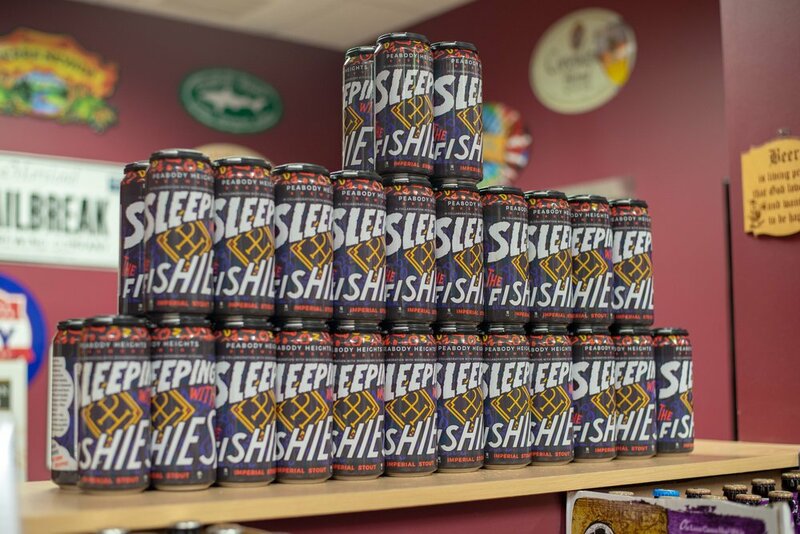 Sleeping with the Fishies is an Imperial Stout brewed with cocao, cold brew from Artifact Coffee and localy grown fish peppers from Woodberry Pantry. Nine different malts are used in this huge beer. 9% abv. The supply on this drop are very limited, so if you’re interested, you might want to make the trip down here.